Another New Normal – Are you biased? Myside bias and dualistic judgement. Is it normal to win the lottery? Well, yes it is … for someone. But does that make it abnormal to not win? Our dualistic nature seems to like nice, neat opposites. If it’s not good, it must be bad. Beware of false opposites. Plain M&M’s are not the opposite of peanut M&M’s, they are just different. Abnormal is not the opposite of normal, it is just different. Anyone who has ever been in a street-fight can attest that winning is certainly not the opposite of losing. Indeed, the difference between winning and losing is sometimes a subtle one. The use and misuse of the term “normal” has become annoyingly convoluted to be no more than a justification for a preference. Normal is now good and abnormal equals bad. There is a phenomenon in psychology called “myside bias“, or “confirmation bias”. People, humans, tend to only extract the data from bodies of evidence that confirm beliefs which they already hold. An interesting claim by researchers is that the bias is relatively independent of intelligence. So smart people are just about as likely to be biased as stupid people. Good examples are seen in everyday life where various historical religious texts are used to prove or disprove a belief. The different books can be shown to absolutely forbid eating certain types of meat … or not, whom you should marry … or not marry, whether you should wage war … or be peaceful, whether you should break your boiled eggs on the big end or the little end. (Oh, sorry, that was Jonathan Swift.) But you get the idea, same text different conclusion, depending on your bias. Myside bias could be the force in human nature driving this usage of normal as good and abnormal as bad. If I agree with it, it’s normal, if I don’t agree with it, it’s abnormal. Axe murderers and geniuses are also a normal occurrence. 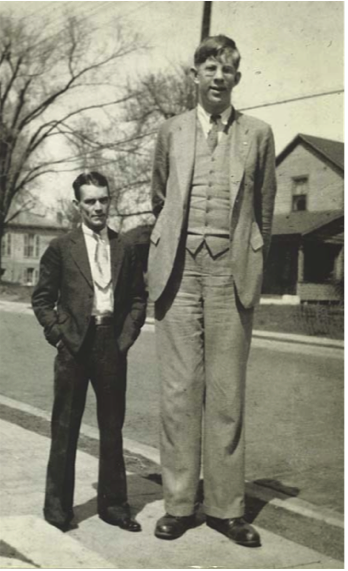 It is normal for a large population of humans to have some of them taller than 7 feet, that doesn’t mean those folks are normal height. It also doesn’t make them good or bad. It’s also normal for a large population to have some axe murderers and some geniuses. Not every preference needs to be justified by building a case to support it. It’s okay to have preferences. It’s okay to not like some things, and it’s inevitable that some people aren’t going to like what you like. It’s also inevitable that some people aren’t going to like you, once they find out what you like and don’t like. Please take the poll below. How do you use "normal"? It simply means typical or what's expected, or usual. No judgement. Normal is mostly just typical, but abnormal implies something bad. It depends on the context. eg. Normal health means good, normal musical ability means bad. I admit it, normal is good, abnormal is bad, so sue me! michael maestri says the confusion introduced with the idiosyncratic uses of the term ‘normal’ is intentional, though largely unconscious.we instinctively avoid being understood. it’s a way of getting people to charge on us, and that’s our hidden agenda. paranoia? maybe. I hope your point of view becomes the norm. michael maestri on Do You Believe in Evolution? Whimsical Anarchist by Hoosier Organics LLC. Content licensed under a Creative Commons Attribution-NonCommercial-ShareAlike 4.0 International License unless otherwise noted. Magazine Premium created by c.bavota.